Inspired By True Events - This is gonna be a fun storyline. This is gonna be a fun storyline. You guys might notice some slight site changes. Not least of which is my new header, featuring all of my recurring characters. I’ve been busy! 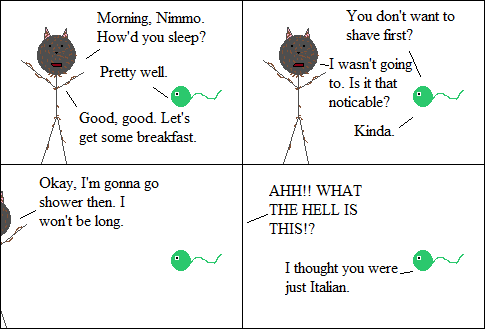 I know the pain of being overly hairy myself due to Italian genetics. The amazing food makes up for it, though.